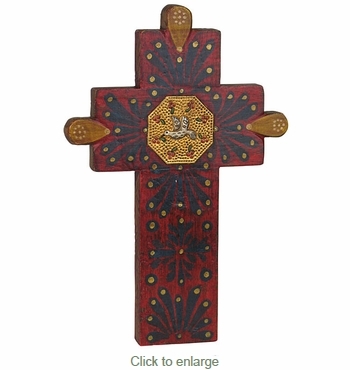 This Mexican folk art hand painted cross is a piece of Mexican tradition to hang in your own home. Hand crafted and painted in muted colors to give a look of antiquity. Each Mexican cross is completely unique and may vary from image shown.